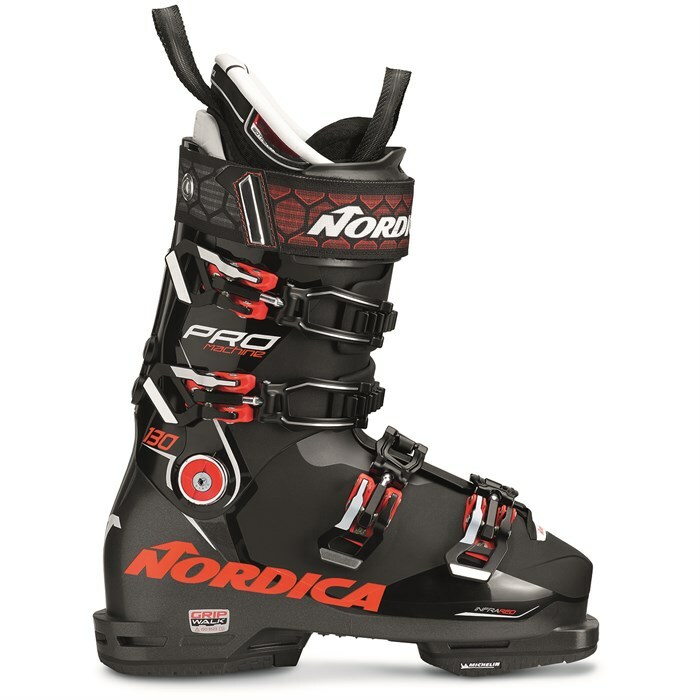 Experience pure power and precision with the Nordica Promachine 130 Ski Boots. Now with a new Michelin® Gripwalk® sole for surefooted steps and more confidence on those icy lodge stairs. Worried about comfort? Don't be. 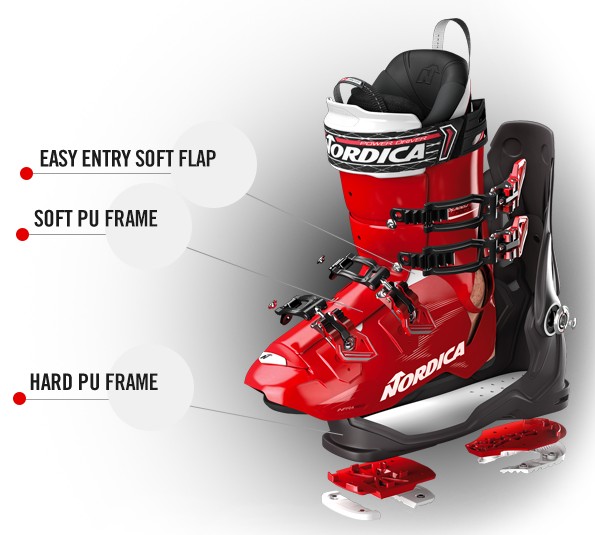 With Nordica s Tri-Fit customization, Infrared Fit Technology baked in and a ISOTHERM 3D Cork liner, the Promachine 130 Ski Boots prove that stiff flexing boots no longer mean having to settle for uncomfortable feet. Last: 98mm  Narrow last with lower volume cuff, ideal for those with lower volume feet or skiers seeking a very precise fit. Tri-Fit Customization  Tri-Fit customization is the next level in truly personalizing ski boots. By focusing on the shell, the liner and the key hardware components, Nordica was able to create an easy to use technology that seamlessly and comfortably connects the foot with the liner and shell. The key to unlocking this technology is the Infrared Shell Customization Heating Element used in conjunction with the liner system and oven. These two technologies allow 100% customization of both the liner and boot shell only in the areas where it’s needed to achieve to the perfect fitting ski boot. 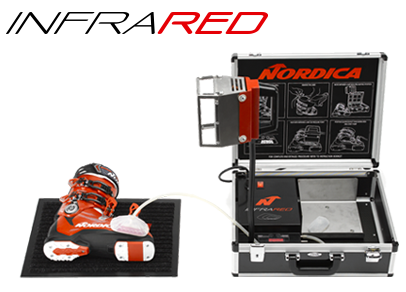 Infrared Fit Technology  Nordica created a customization technology that would work with the shell construction. An infrared lamp heats up the shell in problem areas that can later be pulled out using the Nordica Suction device. The boot won't be damaged by the heating element, and the process eliminates mistakes in customization. Easy Entry Instep  Soft plastic flap eases entry and exit of the boot. Flex: 130  A very stiff flex designed for expert skiers looking for the most response and power. ISOTHERM 3D Cork Fit R Laced  3D pre-shaped, heat-moldable liner with Cork Fit ankle pocket and ISOTHERM moisture-wicking insulation. Tri-Force Construction  A modern lightweight design with a hard PU or Triax spine and chassis is combined with a softer PU or Triax foot wrap and extra soft material over the instep. Allows for better wrapping around the foot and customization without losing rigidity. Power Driver | 45 mm Strap  Nordica’s patented power driver creates the perfect marriage between the upper cuff and upper liner, allowing them to uniformly and efficiently work as one. It’s PU construction lends itself to being fully customizable. Weather Shield  Overlap system integrated into the shell that provides a full waterproof feature to prevent water from leaking into the boot. Adjustable Components  100% customizable hardware. Screwed buckles, power strap, cuff canting and alignment, soles and cuff.